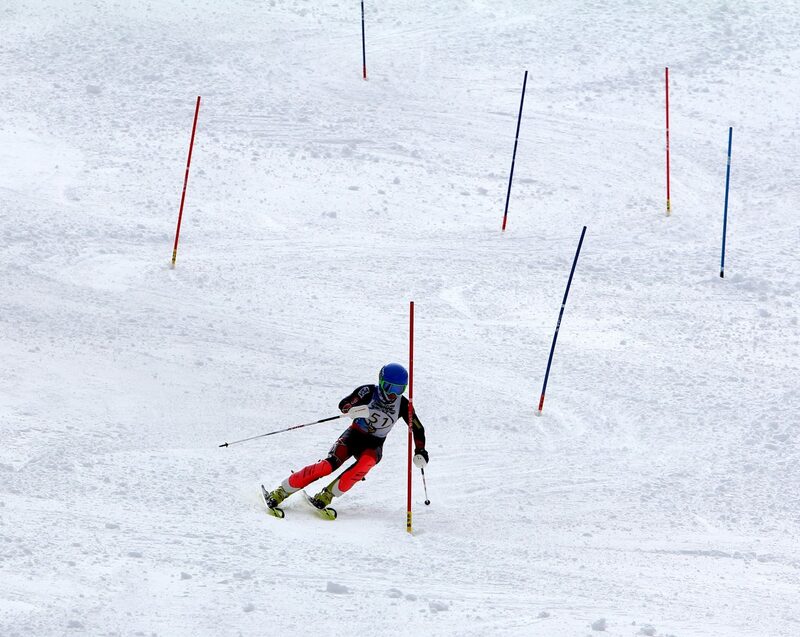 Incline's Otto Albrecht charges down the slalom course Monday on his way to ninth place. 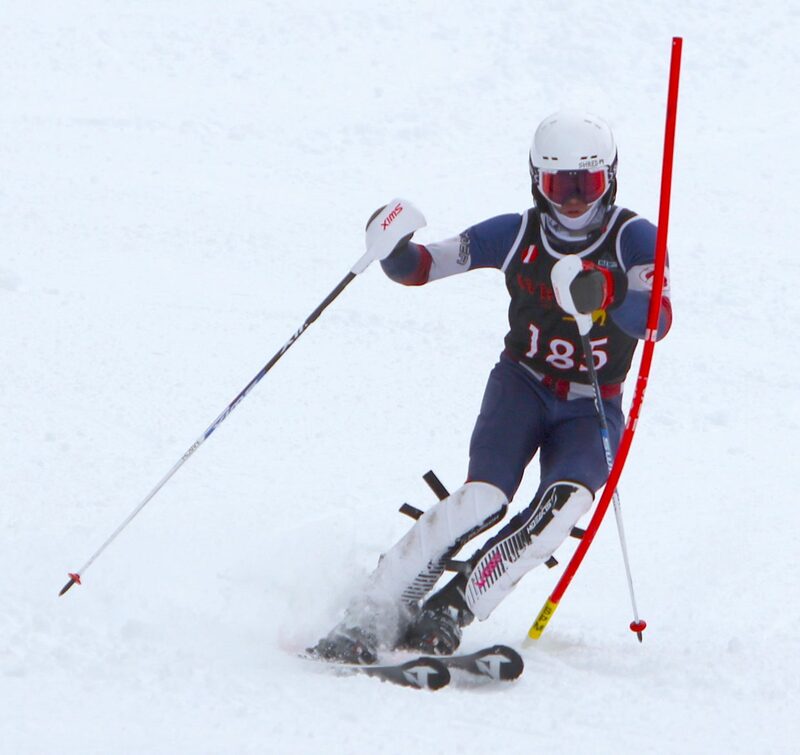 South Tahoe's Luke Allen speeds down the slalom course Monday at Sierra-at-Tahoe. 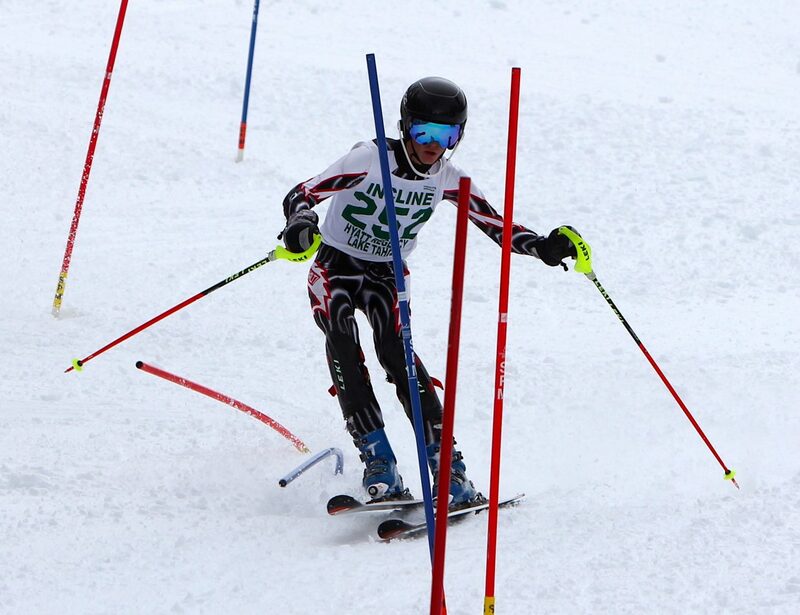 Whittell senior Gunnar Barnwell negotiates a gate during his first run Monday on his way to winning the alpine state slalom championship. 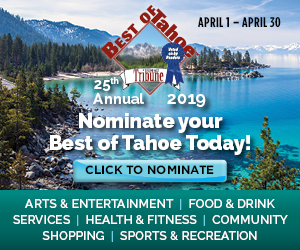 South Tahoe's Summer Furrer nears the finish line on her first run. 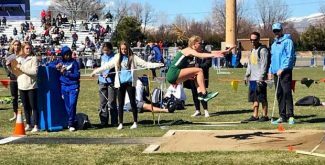 She finished sixth to lead the Viking girls. 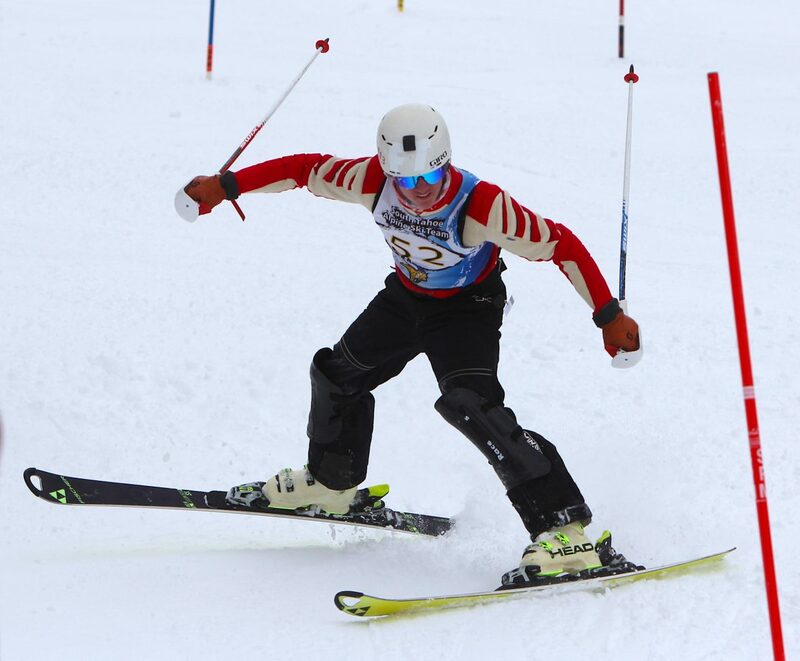 South Tahoe's Mark Allen has trouble right at the end of the slalom course. 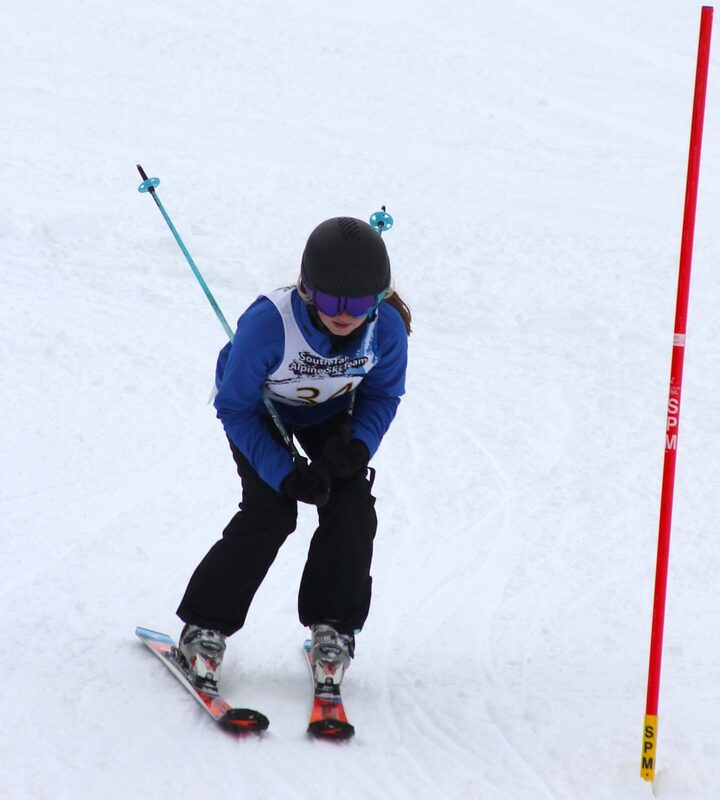 Jamie Johnson on her first run Monday for South Tahoe. 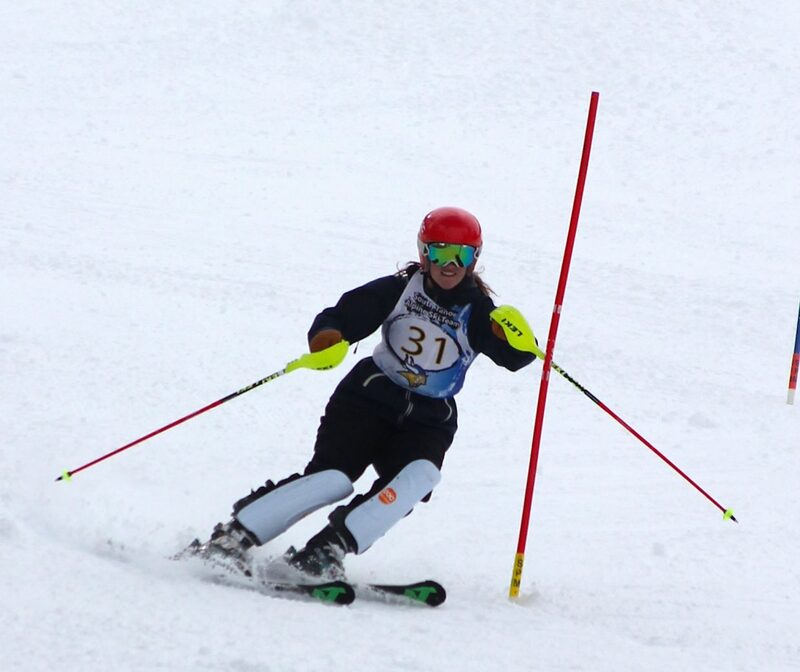 South Tahoe's Ella Bickert gains speed at the finish line Monday. South Tahoe's Kiara Furrer weaves her way down the course Monday at Sierra-at-Tahoe. 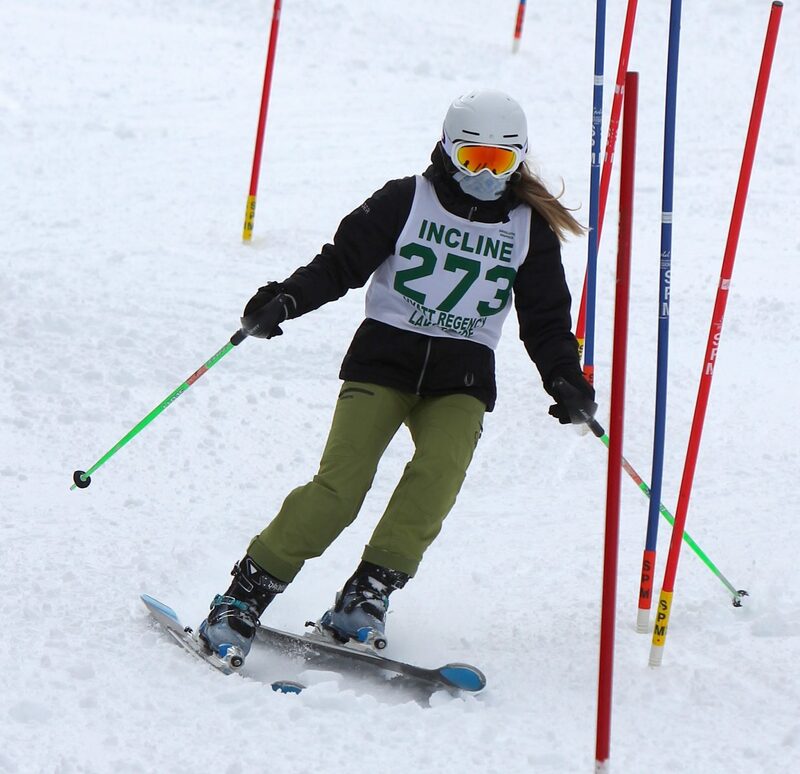 Incline's Brenna Ritchie speeds her way to fifth place Monday in the state alpine slalom championships at Sierra-at-Tahoe. Marte Waagan finishes her first run for Incline. 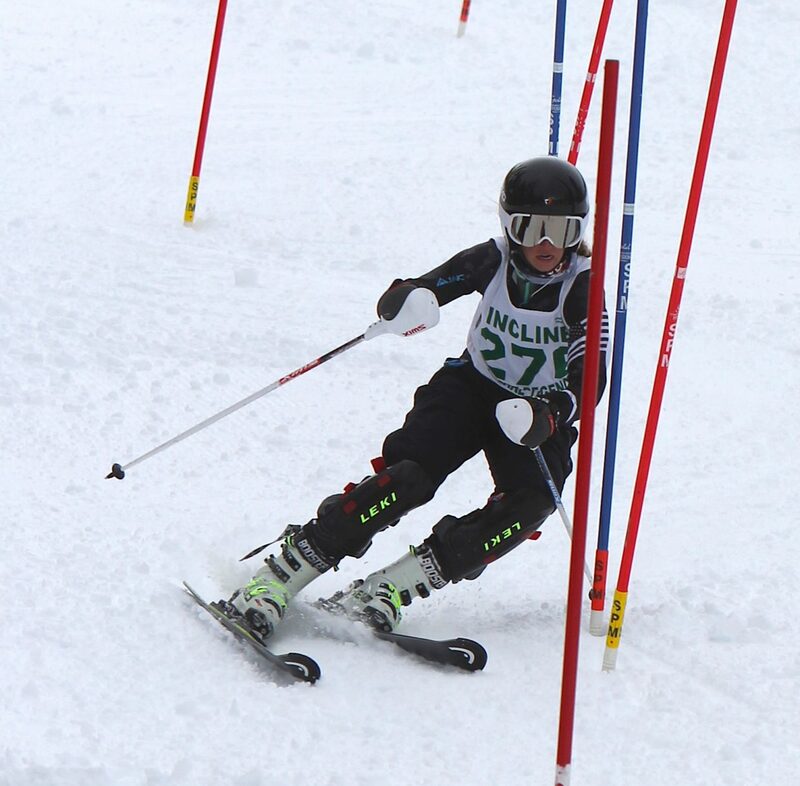 Incline's Niklas Pietzke knocking them down as he nears the finish line. 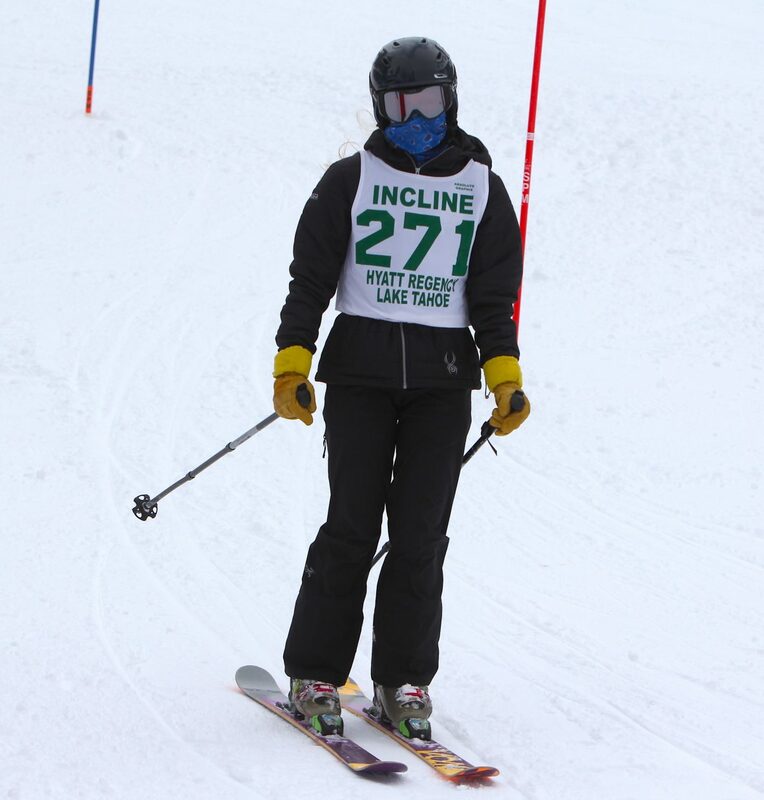 Incline's Rebecca Noble nears the finish line Monday. 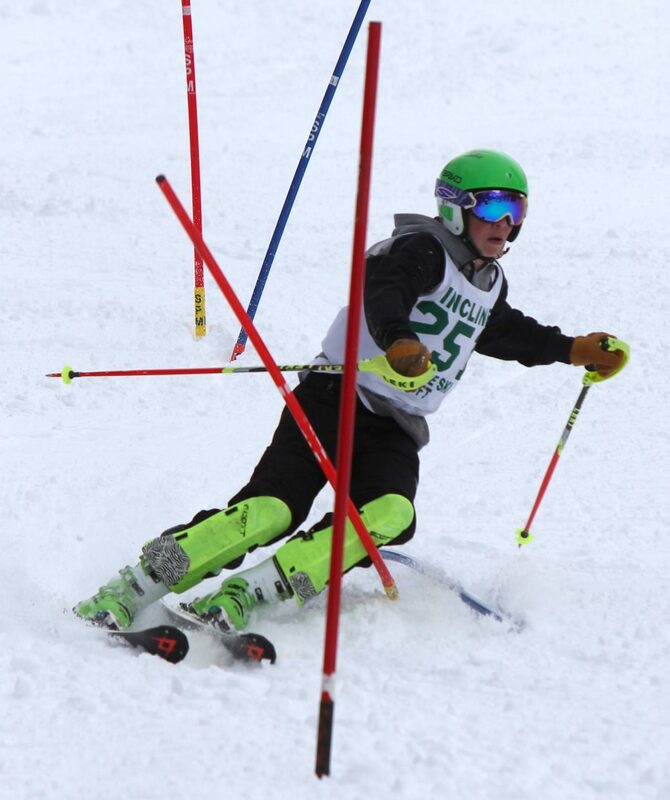 And for the boys’, Gunnar Barnwell continued the Whittell legacy while North Tahoe won its third straight slalom title. 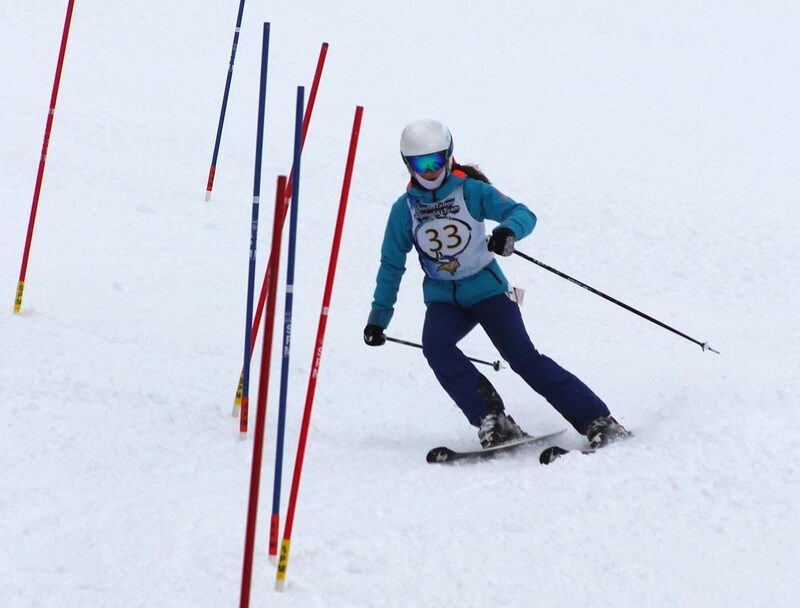 Junior Maddie Roberts took first place to lead the Lakers girls, finishing with the two fastest runs of the day to take this year’s girls’ individual state slalom title by nearly three seconds. 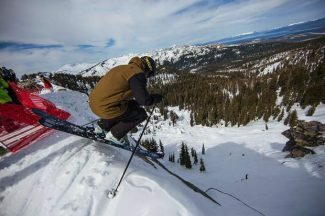 “It was kind of like, ‘OK you can do this, you’ve skied in worse. 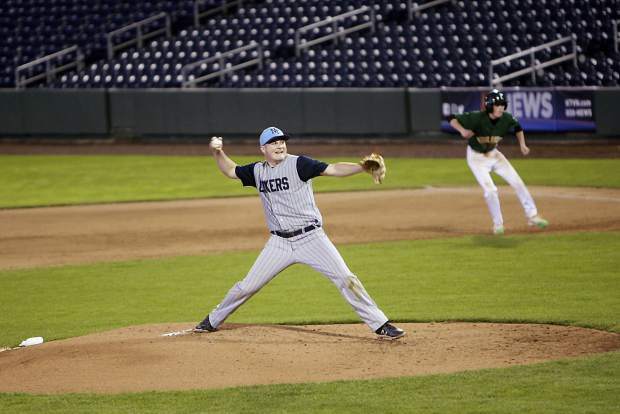 Just go out there and send it,” she said. 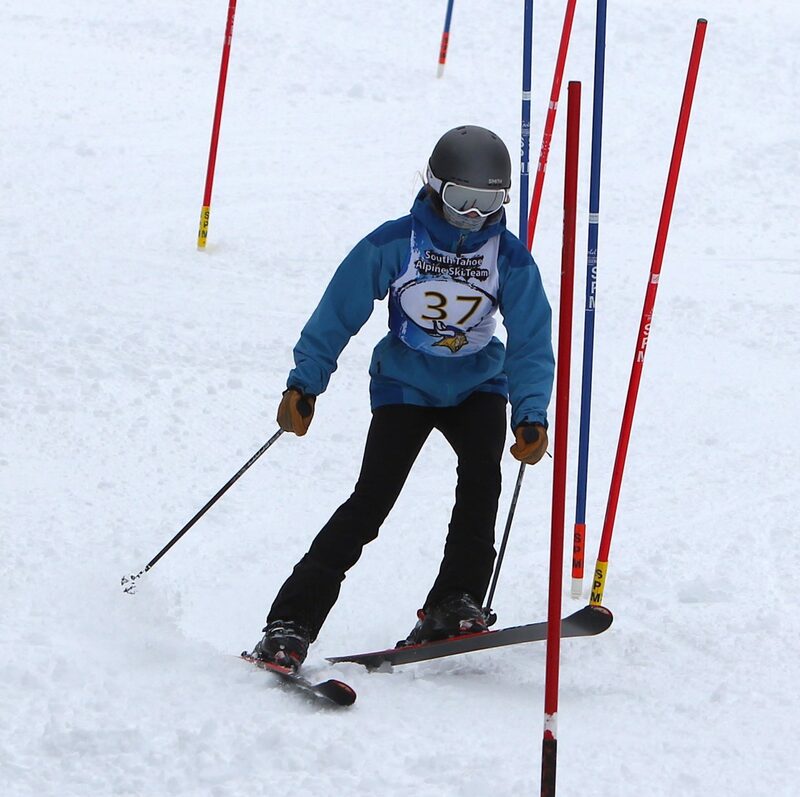 On the boys’ side, Barnwell, a senior, fought his way down the two courses to capture the individual slalom state championship with a combined time of 1:26.77. Barnwell and the rest of the field of boys hit the courses following the girls’ runs.